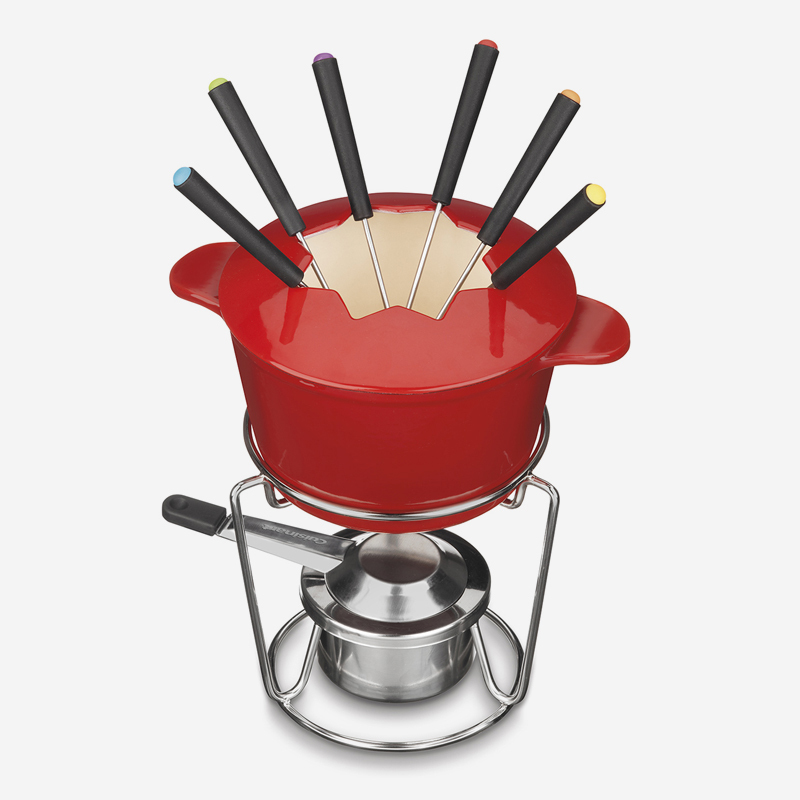 Fondue made easy. We keep it hot! Nothing holds heat like cast iron. 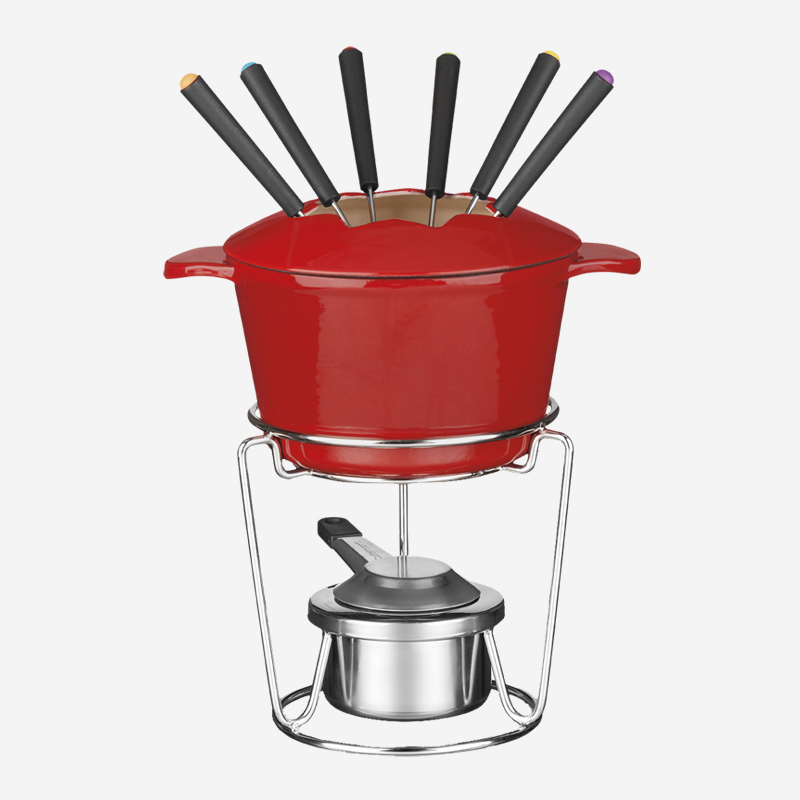 Our fondue pot heats evenly and holds onto the heat to keep cheese, broth, oil and chocolate at perfect dipping temperatures. Recipes included! Perfect for hosting a large party or small get-together! Colour-coded forks for easy use and no mix-ups. 7.50" x 13.25" x 7.25"